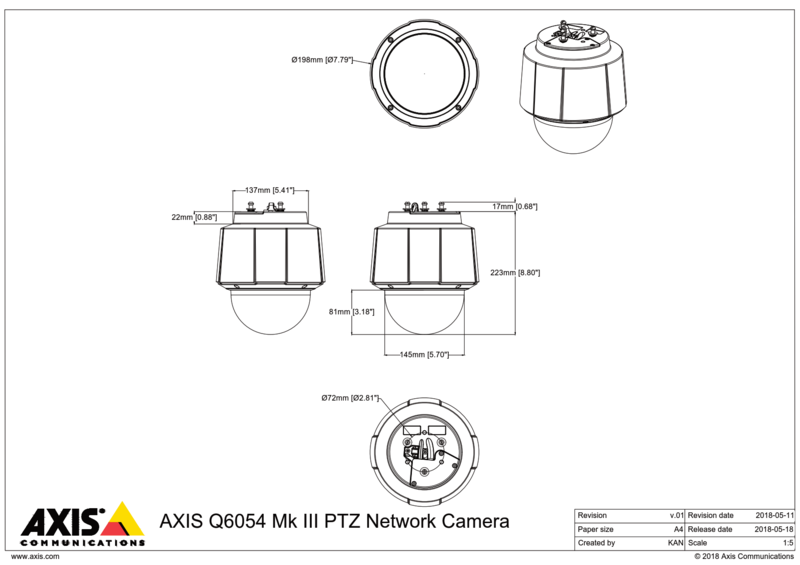 The Axis Q6054 Mk III is an indoor PTZ dome with 720p resolution, fast & accurate pan/tilt performance and 30x optical zoom. This model also features a focus recall setting which allows the camera to instantly focus on predetermined areas without any manual intervention. It also comes with Axis' Lightfinder (improves low light performance) & Zipstream (condenses video files, reducing storage requirements) technology, as well as Active Gatekeeper, electronic image stabilisation, two-way audio, I/O ports and 24V AC/DC power.